Dental fluorosis is caused by ingesting too much fluoride while the teeth are developing. Dental fluorosis discolors the teeth. The staining can range from white flecks to deep brown stains. In this post, I will talk about the various treatments for dental fluorosis. 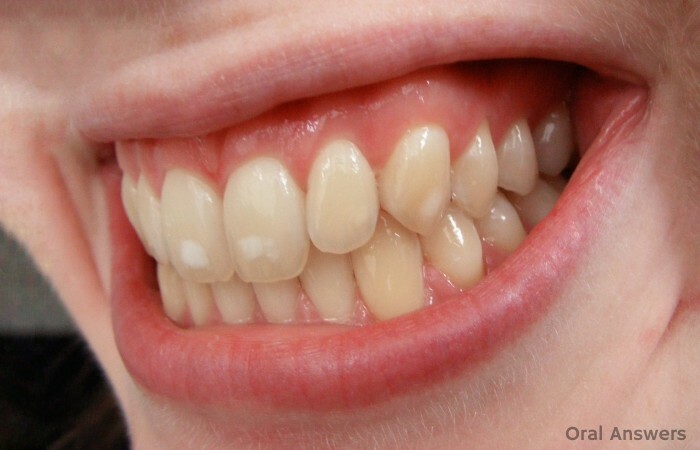 If you’re interested in how dental fluorosis occurs and want to see a couple different pictures to see what dental fluorosis looks like, check out my previous article, Dental Fluorosis: Too Much Fluoride Stains Teeth. There are a few different ways that dental fluorosis can be treated. 1 – Porcelain Laminate Veneers. One of the most esthetic ways is by placing porcelain laminate veneers over the affected teeth as shown in the picture to the right. In this procedure, less than 1 millimeter of the front surface of the tooth is shaved away. The dentist takes an impression, and then a dental lab makes a veneer that looks great and fits perfectly into the spot that was shaved away by the dentist. 2 – Enamel Microabrasion. This is the least invasive method of treating dental fluorosis. In this method of fluorosis treatment, the dentist treats the tooth with acid and then sands away a tiny layer of enamel off of the tooth using pumice. After this is completed, the dentist then applies topical fluoride and a solution to help remineralize the teeth. It is important to note that the topical fluoride that is applied simply helps to make the enamel stronger. Topical fluoride will not cause fluorosis — fluorosis is caused by ingesting fluoride systemically. Not sure what remineralization means? Read the article Try to Keep Your Teeth Below Freezing to find out. This procedure may need to be repeated several times to obtain satisfactory results. 3 – Direct Composite Veneers (Also Known as Composite Bonding). This procedure is similar to the porcelain laminate veneers mentioned above. However, after shaving down the front of your teeth, the dentist doesn’t take an impression to send to the lab. The dentist simply repairs the tooth using white composite filling material. This covers up the affected tooth with an aesthetic tooth-colored filling. The drawback of this procedure is that direct composite veneers sometimes only last a few years and then may need to be replaced with a crown or porcelain laminate veneers. Interested in direct composite veneers? See a picture of how a front tooth can be repaired with composite filling material in the article, How a Chipped Tooth Can Be Repaired with a White Composite Filling. 4 – A Dental Crown. During a dental crown procedure, the dentist shaves down around the whole tooth and then places an aesthetic crown over the tooth. This is the most invasive treatment that is normally done for the treatment of dental fluorosis. 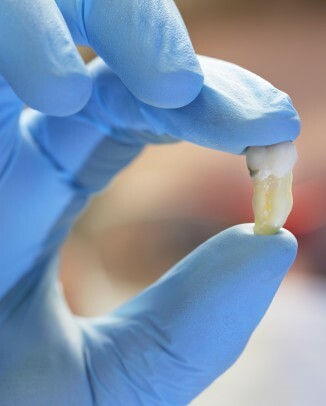 To learn more about what dental crown is and how the teeth are prepared, read the article Dental Crown Procedure: What Is a Crown or Cap? Although it would be possible to remove teeth affected by fluorosis and then place dental implants, I didn’t include that here because it is not normally a treatment option. Most teeth affected by fluorosis are healthy and more resistant to cavities. Their downfall is in their appearance. I don’t believe that removing healthy teeth for aesthetic reasons is the best option when there are other less invasive options. In summary, the least invasive way to treat dental fluorosis is through enamel microabrasion. After that, the dentist can shave down the front of the tooth and either place a composite filling material or a porcelain laminate veneer to cover up the front surface of the tooth. The most invasive treatment of dental fluorosis involves placing a crown around the whole tooth. 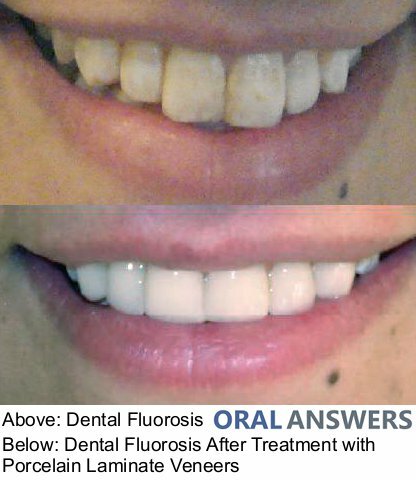 Do you have any questions, comments, or concerns about dental fluorosis and its treatment? I’d love to hear them in the comments section below. Thanks for reading! what are the costs for each of the treatments and, how will one know which treatment is the most effective for one’s teeth. Hi Lucky – Here’s the costs at my dental school. Keep in mind that our prices are about 50-70% of what you’d pay in private practice. The best way to know which treatment is best for you is to consult with your dentist. I hope that helps! Let me know if you have any other questions, Lucky. Thanks for your comment! 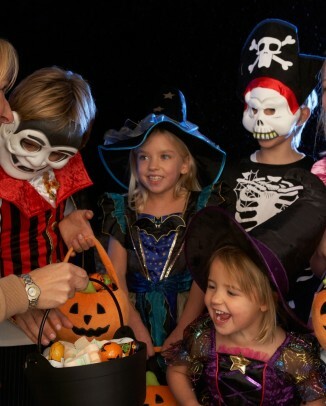 my children have dental fluorosis. I’m not sure how severe yet. Can I use a fluoride toothpaste now their mature teeth are erupting or will the fluoride in the toothpaste affect their teeth further. Lots of sites say that the colour of the teeth can change as they get older. Is this true? can it get worse? Does that mean the white on my sons teeth will go brown and would that be the fault/or not of continuation of use of fluoride toothpaste. Having found out about the fluorosis, my kids have been using fluoride free toothpaste. Hi Christina – Fluorosis is caused by fluoride interfering with the enamel of the tooth while it is forming. As far as I know, toothpaste applied on the tooth will not have any effect on the fluorosis. As far as the color of the teeth changing as you get older, I haven’t heard of that, but it could happen. Normal enamel does get darker over time, so it is conceivable to think that fluorosis could change color over time as well. I don’t see a reason to go wtih fluoride-free toothpaste if your kids already have most of their permanent teeth. I hope that helps, Christina. Let me know if you have any other questions. Thanks for your comment! Today I just listened to a world renowned dentist talk about the dangers of fluoride. It was amazing. He had a ton of references to back up this claim. Please, there is no need to give your children fluoride toothpaste or to allow them to have treatments at the dentist. You have already seen the negative effects of this toxic chemical. If fluoride is in your water don’t drink it and take quick baths. Thanks very much for your reply. can you enlighten me on what other things he said? I’m finding only limited things about this dilemma that seems to be unknown to any mother I have spoken with. Even my dentist only seems lightly familiar with milder varieties, and I fear that my eldest has a more developed case of it. Here is a link to a very impressive video on You-Tube in which the Senior Vice President EPA Headquarters Union speaks to congress about the dangers of fluoride. Please beware of amalgam fillings too, they contain more than 50% mercury and release mercury vapors all day that are very hazardous to health and development of children. Please remember that you are your child’s protector and only you. I learn the hard way. Thanks v much ann. you say you learned the hard way. what did you do? do you have kids with dental fluorosis? i don’t know anyone with it and i feel quite lost and very worried for my kids. As for dental fluorosis of the enamel, I’ve read several places that the supplements ascorbic acid (non-GMO), calcium, and vitamin D3 will reverse this. Try to Google it. Here’s one of several articles. My mistake was when my 8 year old son was about 5 I no longer monitored him while he brushed his teeth within a year he had 8 cavities. When the dentist told me I was so ashamed of myself I started crying in the office. My insurance didn’t cover resin fillings and my dentist told me it would be $300 extra for each tooth, so reluctantly I allowed the amalgam fillings to be put in his head. Had I’d know they were made of mercury I would of never allowed it. My goodness, I don’t even let my kids eat more than 1 tuna fish sandwich a week but I trusted blindly and now my son has behavior and developmental problem that weren’t present before. Now we have to find an expert to remove them properly. One other great tip that I’ve learned since I found this all out was the use of Oil of Oregano to clean and kill all the bacteria in the mouth. It works great, better than mouthwash. I had 6 veneers done in 2008. More than 50% of them have fallen off. My dentist (at that time) made the teeth on a cerac machine. Now, I have to replace all 6 in fear the two front are going to be next. I have been insecure about my smile with these veneers – it should not be the case. Having veneers done should give a person a sense of a beautiful smile and security having new teeth. Since I moved out of state, wouldn’t it be ethical for the former dentist who made the veneers to pay for the replacements? 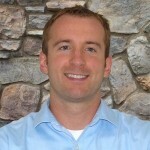 Hi Kelly – Most veneers can last 10-15 years. I’m sorry about your bad experience. It’s hard to tell why the veneers fell off. It could be a problem with your bite, or they could have been done poorly. You can try calling your former dentist, but I’m guessing that they would want you to come in for an appointment to see what’s going on before they did anything like refunding your money. A good book to check out is The Naked Tooth. It talks a lot about veneers and how to select a dentist to make sure they’re done right. I hope that helps – Thanks for your comment! Let me know if you have any other questions, Kelly. my kids have dental fluorosis. they are still very young and my eldest is about to lose his two top front teeth. the dentist was very helpful and said that micro abrasion was the best method. However, he said mentioned the ages of 12/13 for when it would be carried out. Can my kids not have the micro abrasion as each tooth comes down. Say, when the two front teeth are fully down, why not then? Otherwise, by the time they are 10 other kids will pick up the difference in their teeth and i’m afraid they will be mocked. Hi Catherine – I would ask your dentist why he recommends waiting. 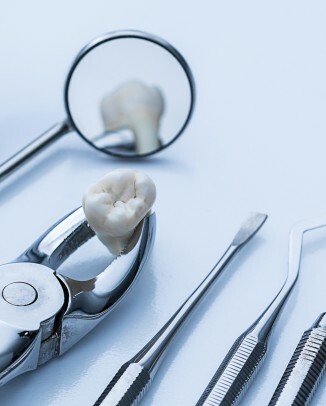 One reason I can think of for waiting is that you will be able to see how all of the teeth look and can then make sure that the micro-abrasion is carried out in the right amount to make all of the new permanent teeth match. Since microabrasion does take away small layers of enamel, it may affect the way that light passes through the tooth, affecting the color. If it is done too much on the front two middle teeth, it may make them look a different color than the front side teeth after they come in. I hope that helps – Let me know if you have any other questions. Thanks for your comment, Catherine. hello TOM .i have Fluorosis, and i want to know what we can be done to prevent further Fluorosis of teeths, iam 20 year old and my teeths had recovred a lot over the years… my fornt two teeths was badly affected but now the stain is fading by time…… i just want to know which toothpaste should we use… is there is any natural treatment available…. I had quite bad flurosis as a child and went through years of Enamel Microabrasion treatment to get my visible teeth looking normal when I smiled. It worked fantastically and I’ve always been happy with the result. However I am now 29 and my teeth are beginning to stain due to age and years of exposure to staining agents such as tea, red wine etc. I guess. A few friends have had their teeth whitened and it looks fantastic and its something I would really like to have done but I’m scared it will damage my teeth after the years of treatment. Can you advise? does dental fluorosis cause a delay in tooth eruption. my first born got his 6 year molars and bottom central incisors at just over 5 and 5 1/2. That is now 9 moths ago since the latter 2 fell out now and his top central incisors have been slightly loose for months but no give. should be worried? I have read that the longer it takes from them to erupt, the worse the fluorosis? Hi, I spent several years of my childhood in Latin America. I’m now 26, and I have ‘moderete flourosis’. I have some yellowish and transparent spots all over my teeth. I was given a professional teeth whitening product called Pearson Nice n White ( active ingredients: carbamide peroxide Also contains Glycerin, Buffered Polyacrylic Acid and peppermint oit) I used it a few minutes and noticed that my 2 front teeth, which were the whitest that I had, began to show a few transparent spots. Should I continue using it? Will they get whither over time if I continue using it? I look forward to your response, and appreciate what you do. Thanks. Hi Armando – Different people react to whitening differently. Microabrasion may be a better technique for you to get rid of the spots. It would be best to discuss this with your dentist to see what the best option to whiten your teeth would be. I hope that helps – Let me know if you have any other questions. Thanks for your comment! I’m calling BS on this. I have dental fluorosis a moderate case of it. My teeth no matter how much I brush them ALWAYS get cavities and are far more brittle than normal teeth. I have multiple root canals and have been in so much pain I could only curl up on the floor and wait for my appointment. I can’t eat foods I normally can. I’m currently compiling tons of evidence against ebmud for a class action. Fluorosis makes your teeth more resilient to cavaties? Nope, I’m not believing that one. ontop of everything and now your saying I’m going to have to spend around 40k on my teeth to have them look normal and save them from further destruction(I looked up the price). there is no way in hell im letting anybody get away with this crap anymore! hello, i have fluorosis and ive tried everything i can. im using tom’s toothpaste and eco dent tooth powder i cant tell which one i should use. both show up with spots. and is fluoride free. shud i use those or tooth paste with fluoride such as sensodyne????????????? how much these treatment are safe ??? how can i b sure dat da front teeths which are treated will not become week and loose after da t|t????? I can’t help but feel that my daughter has gotten this dental fluorisis because of me allowing her to have her teeth cleaned twice a yr(including the fluoride rince). The reason I believe it’s because of that is because my sister doesn’t take her kids for regular dental check-ups & their teeth look fine. It somewhat makes me regret the fact that I have taken my daughter because I feel like this is my fault & she will be stuck with teeth like this because of me 🙁 Growing up my parents didn’t take us for routine check-ups to the dentist nor did her fathers parents & neither of us suffer from dental fluorisis. So that being said I can’t help but feel that the fluoride rinses have done this to my 10 yr olds teeth! Reasons being that I drunk water,used tooth paste,& so on all of which I’m sure had fluoride. The only difference being I had no fluoride rinses growing up. If I’m wrong please explain to me why I am & what is the best way to help her deal with this. Fluoride is toxic, our water and food are laced with it. I wish I knew this years ago, my teeth are fine but my 8 year old has not fared so well. I am so angry, I am getting as much info as I can, I would take part in a class action to stop this practice. My son did NOT swallow toothpaste and my husband and I were so careful. We put less on his brush than recommended and supervised the brushing and rinsing. We have all ceased drinking tap water and using fluoridated toothpaste and would NEVER allow any fluoride tretments to be performed at the dentist. We now have to deal with the consequences of trusting our governments, doctors etc. DO NOT allow your children to ingest this toxin, do your research, start conversations with people and get the word out there. The last person to obtain an objective response on this topic is your dentist. This is the age of truth people, lets start making noise and stand up for ourselves. It makes me ill to know that so many people are ingesting this rubbish. Our teeth can heal naturally. I have been eating organic egg shells (they contain calcium and minerals) ground to a powder and D3 daily with a magnesium rinse. I just started and I am seeing results within a month. Good diet is also very important. I am suffering from Dental Fluorosis .Next week I was planning to go to Zajac dental clinic at Oakville to discuss about its treatment.Thanks for the blog.I was wondering such treatments can have any side effects later?It was quite informative. Can you tell me is my fluorosis too severe ?? ………Are there any side effects of the treatment and which is the best way to go with. My dentist told me that it is not possible to attach veneers properly to teeth that have flourosis damage as the bonding agent doesn’t work as it is supposed to in this case. Have you heard of this problem? My infant has fluorosis. Will her permanent teeth also get the white spots from fluorosis? Can I treat my 8 years old son ? Or he is to young? Hello Tom, My name is Tulsi and i have dental flourosis my age is 23.My teeth are getting yellow continuously and I want to get rid of these stains please help me out as I always feel embarrassment while smiling. how to remove fluoride marks at home? Thanks for addressing the ways to treat dental fluorosis! I have white stains on my teeth from too much fluoride in my childhood, and I’ve looked into getting veneers to cover them. I think this is the best option cosmetically, but is there a chance of veneers getting stained by fluoride as well? Hi, could there be a natural way of treating dental flourosis? Like a part of me faded away I couldn’t make laughter nor make some jokes while i talk . i want my smile back . it’d be great to have your suggestions please help me . Thank you, for raising the awareness. My 7 yrs 8mths old child has mild flourosis. Am encouraged reading about the comments concerning organic calcium from eggshells, and Vitamin D3, ascorbic acid and magnesium rinse. What would be the recommended levels for her and her 4year old sibling? Thank you again, Wambui from Kenya. Look into the ICON procedure for flourosis with prominent white spotting. My daughter had it done yesterday and it is surprisingly effective though not too expensive. $50 to $75 a tooth. hello dr. tom i have Fluorosis, and i want to know what we can be done to prevent further Fluorosis of teeths, i am 24 year old and my teeths had recovred a lot over the years… my fornt two teeths was badly affected but now the stain is fading by time…… i just want to know which toothpaste should we use… is there is any natural treatment available…. I went to a local dentist for a checkup and I was told that for my fluorosis treatment I’d have to do laser treatment and in which it is not a 100% effective since it might not really remove all the stains. Therefore what would you advice me to do for fluorosis treatment and also is there a toothpaste you’d recommend one to use to avoid getting fluorosis.